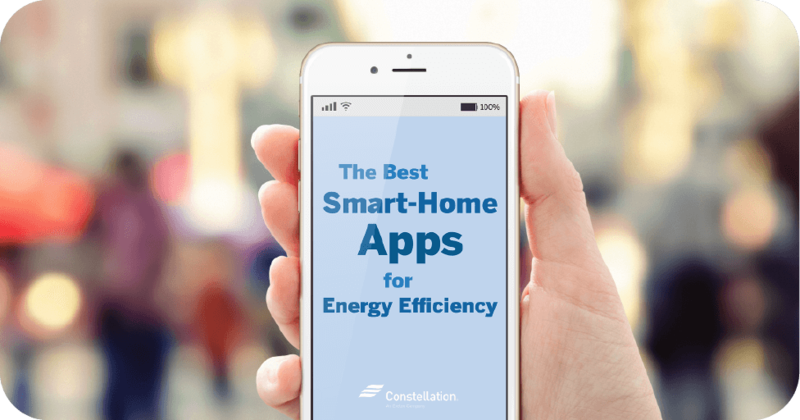 Choosing the right energy-efficient cooking appliance for the right task is one easy way to save energy and potentially lower your energy costs at home. (Not sure where to start? Take our Which is More Energy Efficient? quiz on top-used appliances). We’ve already written about the energy showdown between LED vs CFL bulbs, crockpots vs ovens, and gas vs electric dryers. Now it’s time to crown the winner of the microwave vs oven and toaster oven vs microwave battles. The energy-efficient cooking winner is … the microwave! Choosing to cook with a microwave vs oven can use from 30% to as much as 80% less energy, according to ENERGY STAR. As an added bonus, a microwave doesn’t heat up the kitchen in the summer as much as cooking with an oven would, which can help with air conditioning costs. It helps to understand how these appliances work when considering whether to use toaster oven vs a microwave or a microwave vs an oven. Microwaves use high-frequency radio waves to heat the water molecules inside food. The food essentially cooks from the inside out, leaving the air around the food to remain at room temperature. In essence, microwaves heat all the food at once. This method reduces cooking time and energy consumption, especially when cooking small amounts of food. In contrast, a conventional oven heats primarily by convection: the hot air surrounds the food and the heat from hot coils comes as a result of the temperature difference between the hot air and the food. As the outer parts of the food become hot, the heat moves inward to heat the interior of the food. 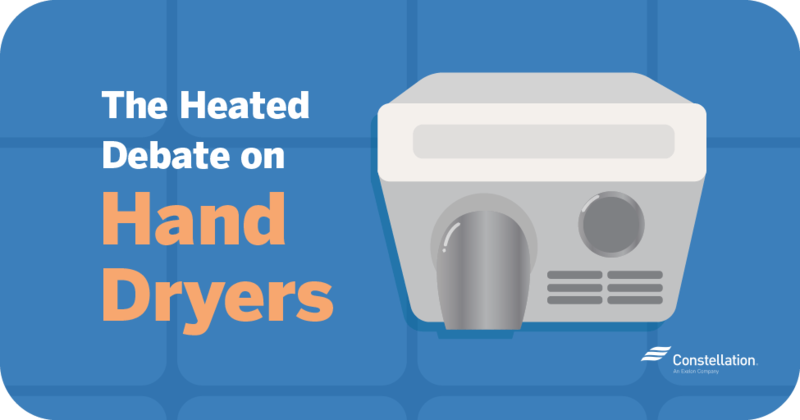 Toaster ovens cook food by combining hot air with radiant heat. Toaster ovens and microwaves generally have different wattage. The average microwave uses 925 watts, and toaster ovens 1225 watts in the U.S. That means from the get-go the microwave is ahead of the toaster oven in energy efficient cooking as it uses about 20% less power. Toaster ovens also beat out conventional ovens. They use about ⅓ to ½ the amount of energy of a conventional electric oven when cooking small meals, according to ENERGY STAR. Toaster ovens are primarily used for toasting and baking, and less frequently for defrosting, warming or broiling food. 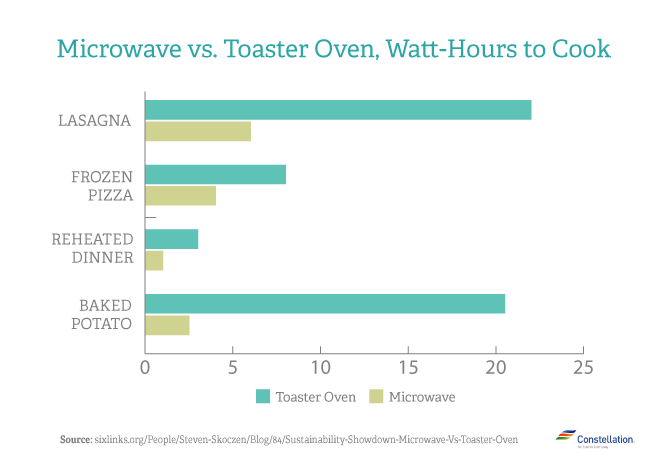 ENERGY STAR notes that 27% of households use their toaster ovens for only toasting, while 7% use it only for baking. Cooking a potato is one way to understand the potential cooking benefits of using a microwave vs oven. Cooking four medium potatoes takes about 15 minutes in a microwave oven, according to Home Energy magazine. Cooking those same four potatoes in a conventional oven would take about an hour. This is obviously a reduction in both time and energy costs. Sometimes, though, an oven is the right energy efficient cooking appliance for the task at hand. Larger amounts of food, for instance, do better in an oven than a microwave. Install your oven away from your refrigerator. 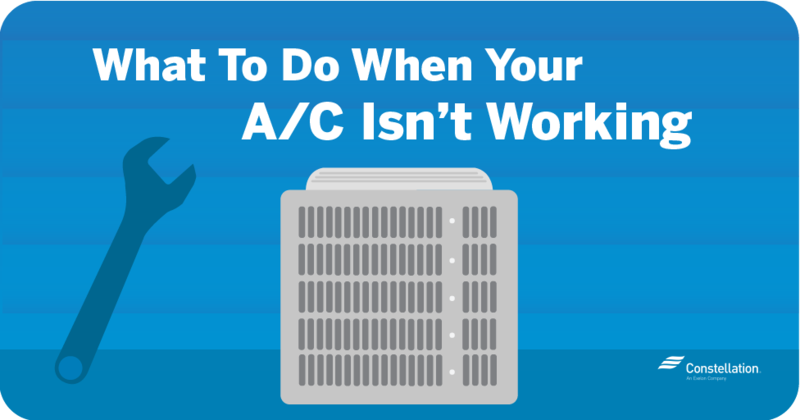 Heat from the range will make the fridge work hard and raise your electricity bill. If you do have to put appliances next to each other, place a sheet of foam insulation between them. Self-cleaning ovens have more insulation and tighter-fitting oven doors than standard ovens. This keeps the heat in more effectively. Don’t open the oven door while cooking to check your food. Each time you open the door the oven temperature drops by 25 degrees. That’s why ovens have that interior light or use a timer. Preheating your oven uses extra energy and is generally considered unnecessary. Use the correct cookware. In the oven, using glass or ceramic pans instead of metal allows you to turn down the temperature about 25 degrees and cook foods just as quickly. 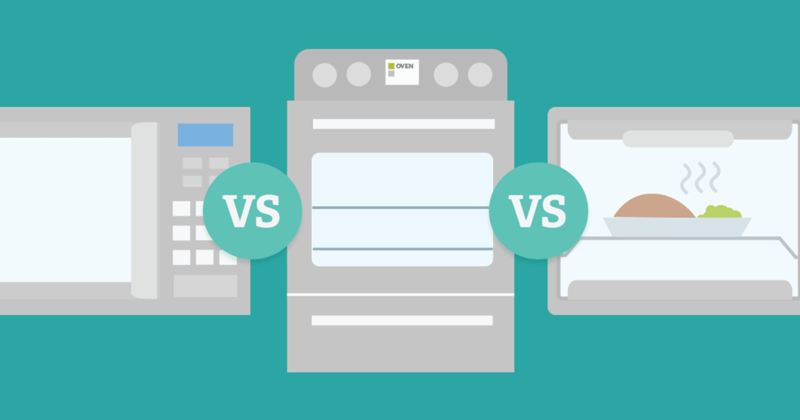 Want to see where other kitchen appliances fall in energy-efficient cooking? Here’s a breakdown of the approximate cost in kilowatt hours and price of operating various kitchen appliances, courtesy of the Consumer Energy Center. Microwaves are most efficient for small portions or defrosting. Microwaves are not appropriate for all cooking; they can cook unevenly and can’t brown food. Microwave energy efficiency does not vary much. Generally, a small microwave, rated at 600-800 watts, is more energy-efficient than a larger one, typically at 850-1650 watts. Don’t buy a larger microwave than your family needs. Newer models can increase microwave energy efficiency through temperature probes, sensing controls that tell by moisture content when food is fully cooked and variable power settings. Final take-away? 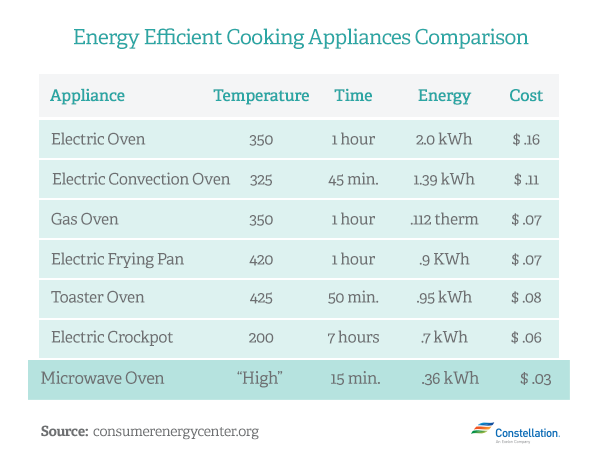 Size matters when choosing the best energy efficiency cooking appliance. So, too, does the kind of cooking you want to do. But if you’re going small and/or reheating, you can’t beat microwave energy efficiency.